Lord Krishna is one of the most loved and revered Gods in the Hindu religion. Krishna, eighth incarnation of Lord Vishnu, was born in human form in ‘Dwapur Yug’ [Iron Age]. He was born a “Yaduvanshi” between 3200 and 3100 BC. This is a fact found by both Indian and Western researchers. 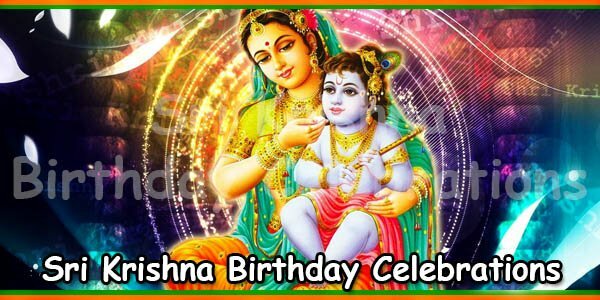 Lord Krishna was born as the eighth child of Devki and Vasudev. However, he was brought up by Mata Yashoda and Baba Nand. The word, “Krishna” means “one who is always in the transport of joy”. Krishna also means “Black”. Lord Krishna is dark complexioned hence he has the name Krishna. Of course, Krishna is known by many other names. The names were given according to the characteristics he had and the feats he accomplished. He is known as “Makhan Chor”. Krishna was very fond of makhan [butter] and stole the same with his friends. During his childhood Krishna lifted the Govardhan Mountain to save the people from rain. His popular name became Girdhari. In Madhuban, Vrindavan, Krishna performed Rasleela with gopis in gardens thus he is Banwari. 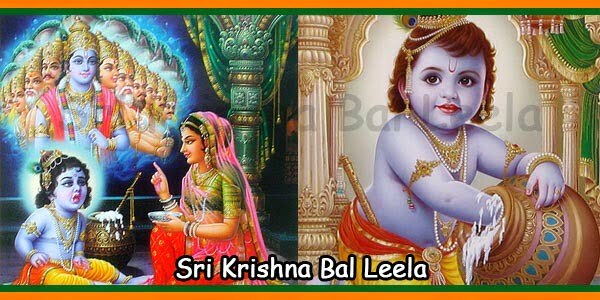 During his childhood, Krishna was known as Bal Gopal. He was a very famous and fearless child. There are several stories of his childhood that depict his bravery. Also, there are few that reveal his spiritual and divine powers. The important stories are the killing of Putana, demon and the slaying of Kaliya Nag. Kansa, Krishna’s maternal uncle sent Putana to feed baby Krishna poisonous milk and kill him. But, Krishna sucked the life out of Putana and killed her. As for the Kaliya Nag, it was the dreaded serpent in the lake in Gokul. Krishna killed the servant and relieved all. Lord Krishna was blessed with a great number of skills. He considered as the “Solah Kala Sampoorna” and “Poorna Purushottam”. Lord Krishna acted as a teacher, protector, friend, guide and philosopher to Arjuna. Also, Lord Krishna was an accomplished charioteer for Arjuna during Kurushetra. Krishna was an accomplished in playing the flute. He played the flute so well and gave pleasure to cattle that they gathered around him. Krishna was a romantic lover for the gopis. The Lord had several other divine qualities too. Over the centuries, Lord Krishna has been the source of knowledge for humanity. 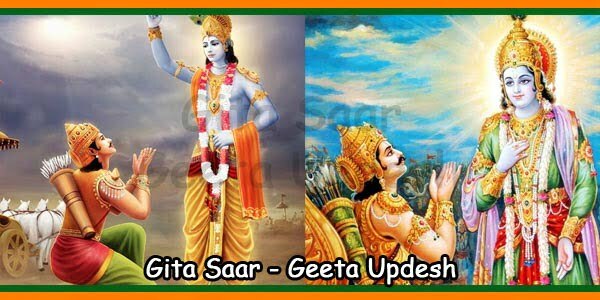 His achievements are not restricted to the followers of Hindu religion only. Krishna has inspired all mankind. This is evident in paintings of Krishna we see even to this date. The spiritual talks organised in India and worldwide also show Krishna’s teaching had spiritual influence. Hence, the Sri Krishna movement began in late 60s by ISKCON in the western countries. Lord Krishna’ reference is found in literature, dance and music, sculptures, plays. Most striking characteristic of Krishna from other incarnations of Vishnu is he is a lover. His love for Radha is never-ending, immortal and very pure and pious. Even to this date, Krishna is always associated with his childhood lover Radha. Later he married Rukmini but that was only after he left Radha in Vrindarvan. It is in Madhuban, Vrindaban, that Krishna and the gopis performed Rasleelas. 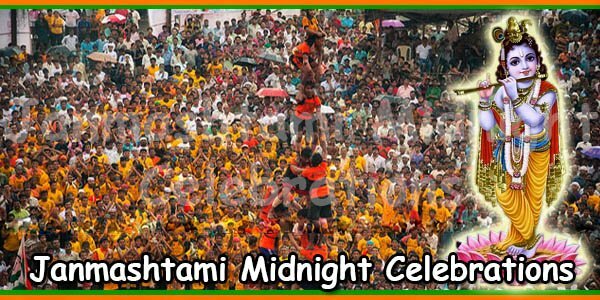 According to folklore, Krishna still ascends to dance Rasleelas with his beloved gopis on Janmastami full moon night. Krishna played his flute so well that all the cows gathered in the meadows to listen to him. Lord Krishna resided in city of Golden gates, Dwarka [Door to Moksha] made by Vishkarma. Krishna had as many as 16,000 wives. According to the legend, after the demon Narada was killed, Krishna married all single girls. Thus, Lord Krishna saved the honour of the girls belonging to the entire village. Rukmini was the mistress of the house. Lord Krishna had 1,61,080 sons. Lord Krishna played an important role in the Mahabharata epic. There is the famous battle Kurukshetra between Pandavas and Kauravas that took place. Also, while was the charioteer of Arjuna, Krishna was the teacher, guide, philosopher. Krishna’s teachings are compiled in the Gita [Literally meaning ‘Song of God’]. Krishna famous teaching is “karm kar phal ki chinta mat kar” [work without thinking of outcome]. Indian modern society is based on the Lords words. 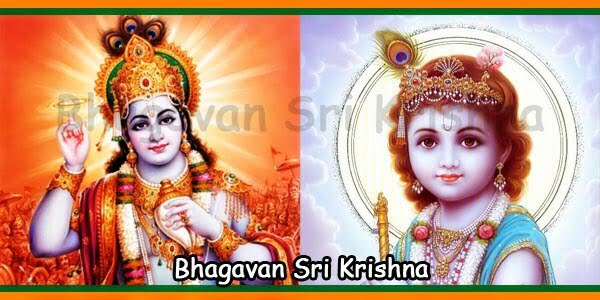 Krishna was the divine messenger who stressed on the importance of love and peace. According to Krishna, the path of dharma [righteousness] and good karma [deeds] leads to Moksha [salvation]. Also, he emphasised on the glory of satsanga [Accompany of sadhus]. Krishna taught “Bhakti Yoga” or attachment to God instead of attachment to materialistic things. 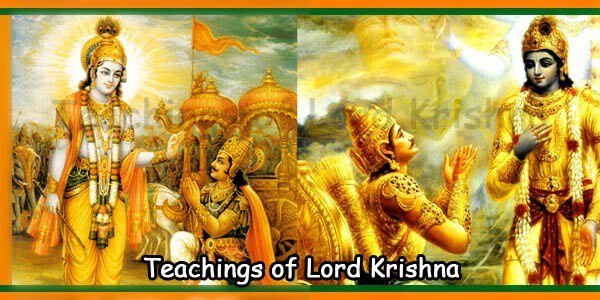 In addition, Bhagwan Krishna taught the goodness, nature and method of meditation. According to Lord Krishna, feelings of joy, sorrow, grief, and happiness are all maya [illusion]. True love or real love is the permanent love between the God and the devotee. 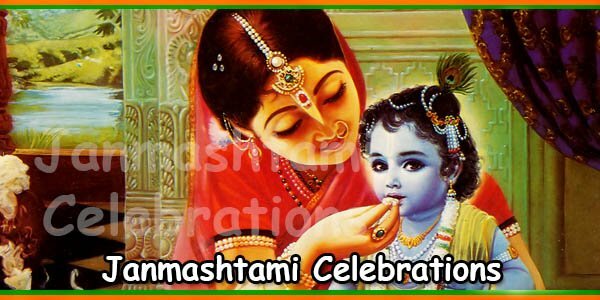 About Makhan Chor, Facts About Lord Krishna, Story Of Lord Krishna, Who is the Lord Krishna?